Reliability is a top priority for manufacturing and processing companies. The industry needs a single, smart solution designed to grow customers and revenue while simultaneously controlling costs and mitigating risks. VeriCheck knows that succeeding in these realms is the key to managing performance and has built custom solutions designed to help manufacturing and processing companies keep business moving forward reliably and securely. ACH (Automated Clearing House) payment processing solutions enable companies to easily add value by providing convenience for customers and cutting administrative time and costs. This gives customers the option to submit secure one-time or recurring payments and start immediately accepting payments 24/7. Who Does VeriCheck Assist in the Manufacturing Industry? VeriCheck’s system provides ACH and eCheck functionality that will enable any payment or billing operation to draft funds directly in to or out of bank accounts securely. 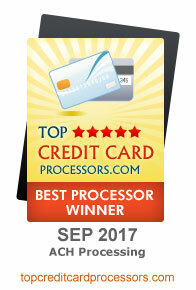 VeriCheck uses proven efficiency and industry expertise to provide valuable solutions for payment processing. How Does VeriCheck Benefit Manufacturers? VeriCheck offers companies a simpler way to collect payments and deliver convenience to customers at the same time. By processing payments through ACH, manufacturers have greater control over payments and are able to increase payment accuracy, improve forecasting and access funds with greater speed and visibility. VeriCheck knows that eliminating the burden of daily business operations is greatly beneficial to keeping business moving forward. Companies can now lessen the time spent on receivables and payments, and focus more on growing business. What Services Does VeriCheck Offer? ACH or eCheck billing direct from bank accounts allows staff member time to be redirected away from processing and handling finances to focusing on growing business or enhancing customer experiences. With an ACH payment processing solution, you can simply debit a customer’s bank account. Contact us today for a live demo of how VeriCheck can help your business.